Hello! I am happy to announce that I have been asked to join The Card Concept challenge design team! I LOVE the inspiration picture for my first challenge! I loved the soft, pretty simplicity of this inspiration photo. 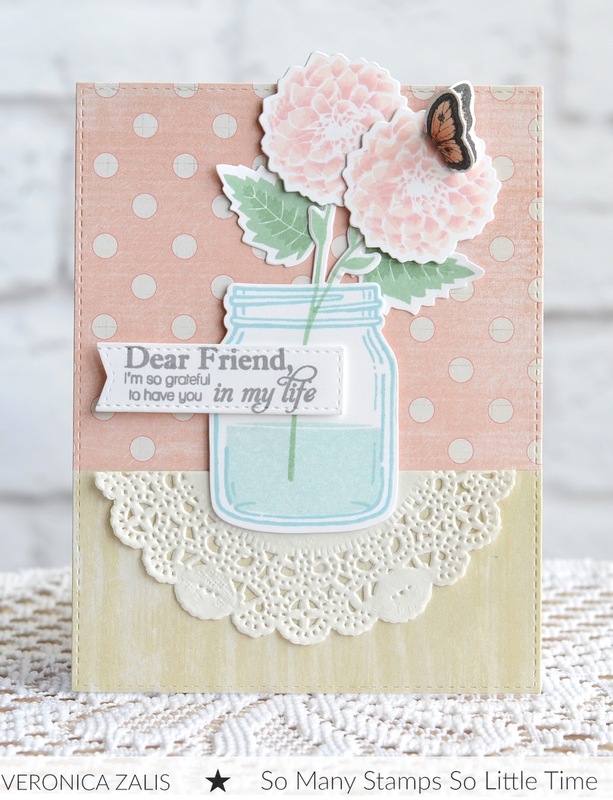 To create my CAS (clean and simple) card I used the Papertrey Ink stamp set Delightful Dahlia additions, and the Stampin' Up set Jar of Love. To give my butterfly a more realistic appearance I colored and cut out two butterflies and adhered them together. The butterfly flies off the card! I hope you play along with us for The Card Concept Challenge 71. I cant wait to see what you create! Welcome to The Card Concept DT, Veronica!! 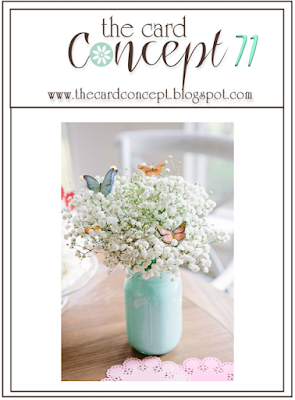 We are so thrilled to have you on the team :-) I love your sweet card with the soft colors, gorgeous jar with the flowers and that sweet butterfly! Hugs and I hope you have a wonderful Easter week! Veronica, I am so happy that you have joined our group here at The Card Concept! Today's card is amazing! You have some beautiful details and a pretty spring color palette! I love the content on your blog! Your cards are beautiful! You are a very talented lady! I can't wait to see what all you create at the Card Concept! Have a wonderful Easter weekend! I am a fellow blogger over at www.couponSahmIam.blogspot.com come over and check me out! Welcome to the team Veronica :) I love the soft colours you have used in your card. Your flowers are beautifully coloured and look so gorgeous against the polka dot background.